joined up journeys | En Avant! On the 7th August, the pteg team travelled from Leeds to the beautiful Yorkshire Dales to visit Dales Integrated Transport Alliance (DITA). DITA is a community-led group of individuals and organisations who want to get better transport in the rural area of the Yorkshire Dales National Park and Nidderdale Area of Outstanding Natural Beauty. DITA was formed to assist Metro (West Yorkshire PTE) to deliver the ‘Connecting the Dales’ project which secured £1.1 million from the Department for Transport’s Local Sustainable Transport Fund (LSTF). Our day began with a train journey to Skipton station (‘Gateway to the Dales’) during which time Connecting the Dales Project Leader Randall Ghent was able to fill us in on some more of the background to DITA. 1. Local transport needs assessment – including a baseline survey of 1,200 local people conducted by sustainable transport charity, Sustrans complemented by a Visitor Survey to capture the travel needs of the many tourists who flock to the Dales. 2. 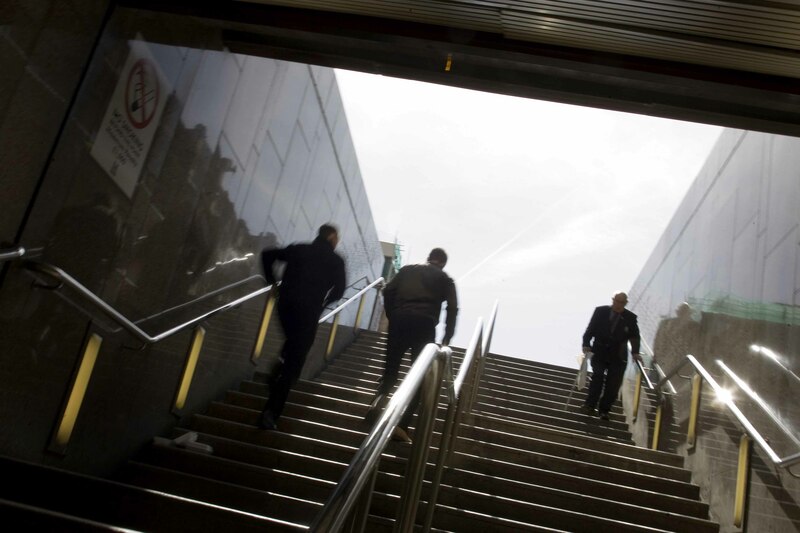 Integrated service development – including trialling of new transport services; subsidies for bus (and sometimes rail) services; a fares initiative for young people; and improved coordination of the existing transport network through a network of local ‘hubs’. 3. Active Travel support – including through the hubs; printed leaflets; education work; support for cycle paths; and electric bike hire. Future plans include a series of accessible circular walks as well as activities linked to next year’s Tour De France Grand Départ, which will take place in Yorkshire. 4. Customer-facing marketing and information – delivered through the local hubs, online and via printed materials. 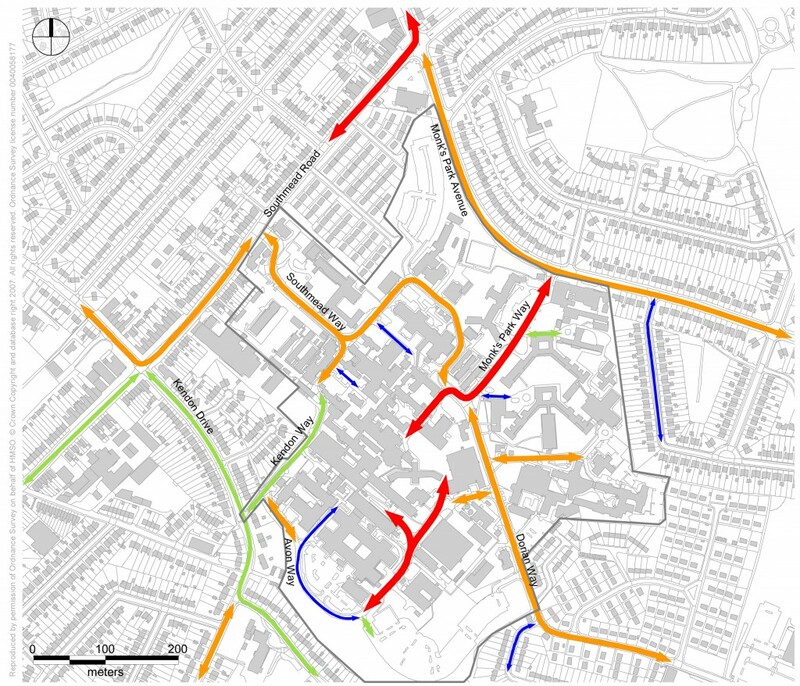 Randall is keen to stress the ‘bottom-up’ nature of the project – this is very much a community-led scheme which accepts bids for funding from local operators and communities who have identified a transport need and a sustainable approach to solving it. Train journey and initial briefing complete, we hop on a Pride of the Dales bus service to Grassington, which calls right outside Skipton Station. 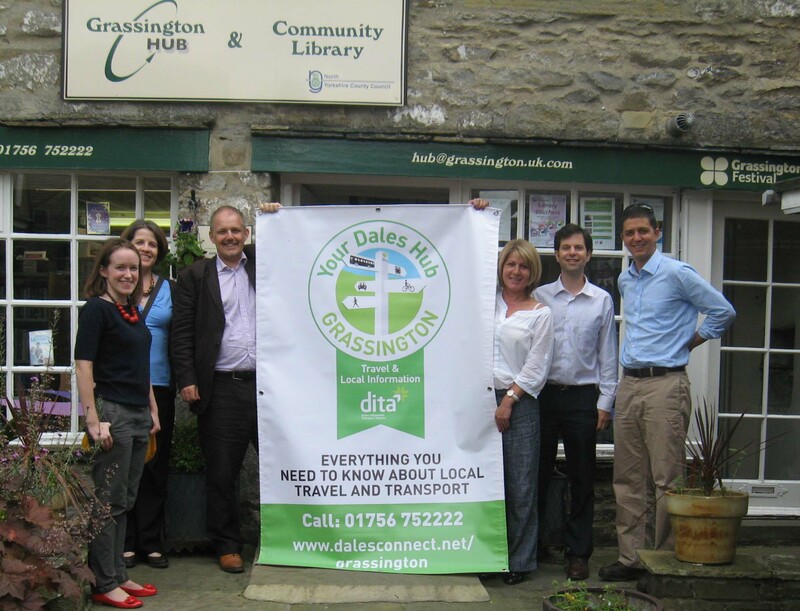 Later, we would visit the Pride of the Dales base in the village, however, our first stop is Your Dales Hub Grassington, one of the eight hubs across the Dales started with funding from DITA and a key delivery mechanism for DITA’s work. 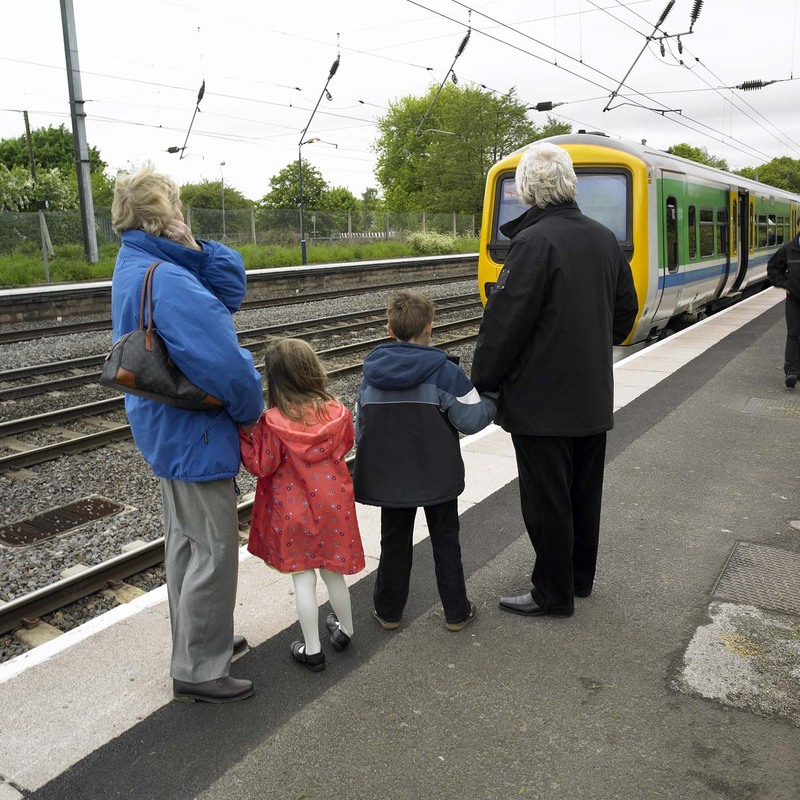 Each hub provides the local community and visitors to the area with advice on all forms of transport. They can make bookings, access real time information and pick up helpful leaflets. All hubs have their own bespoke leaflet outlining travel options in the area – these are distributed to every address locally, often together with the parish magazine. Indeed, the idea is for hubs to have a hyper-local marketing and outreach role, building community capacity and ownership. 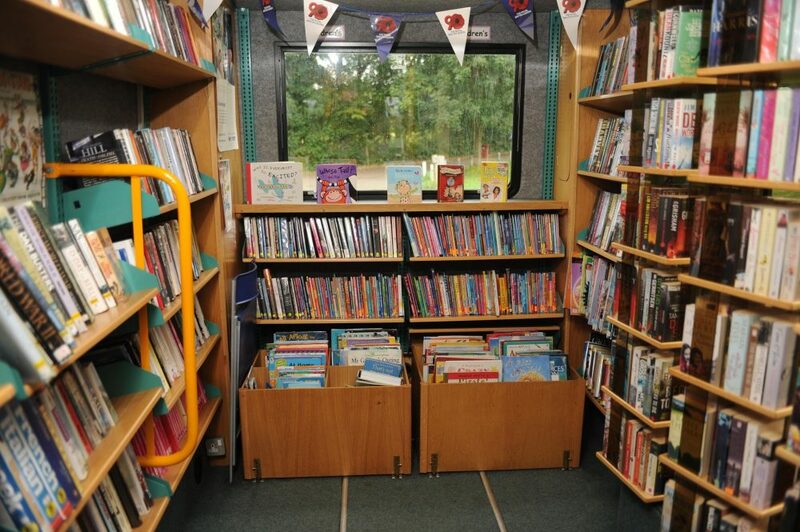 In common with all the hubs, Grassington’s is located within an existing community facility – in this case, the village library. Other locations include Tourist Information Centres, Community Offices, a museum and even the front room of a Bed and Breakfast! With funding tight, multi-functional spaces – and people – are essential. The LSTF funding allows each hub to pay for a manager for one day per week. This person usually performs a number of other roles, with funding from a range of sources. In Grassington, that person is Ann Wild who we meet in a small office at the back of the library, together with Helen Flynn, Chair of DITA. Ann provides advice on transport via the hub and works closely with the community and local operators to gather information on local transport services and needs. 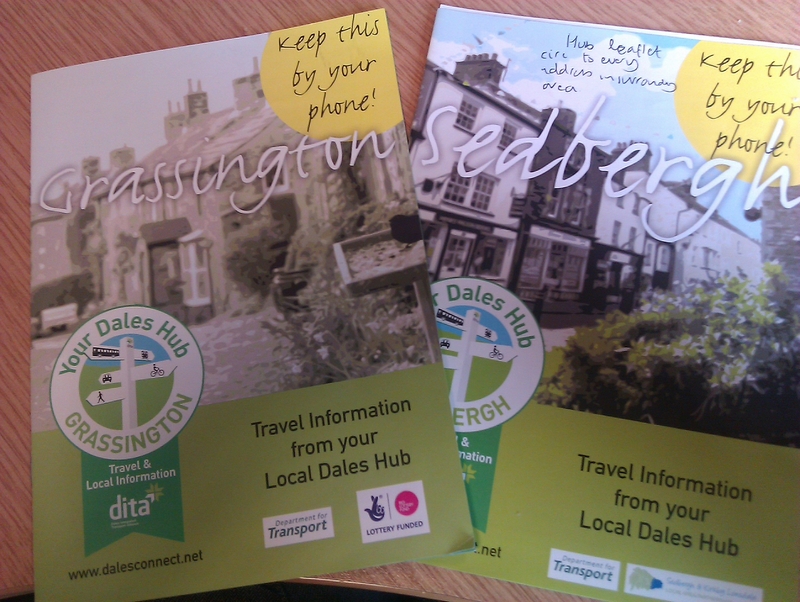 In common with every hub manager, she maintains a page on the DITA website for the area she covers, providing up-to-date transport information for Grassington. Together with the pages for the other hubs, the website provides a comprehensive picture of transport services across the Dales. Ann also maintains the twitter feed for the hub @GrassingtonHub (you can also follow the Dales Connect project on twitter @DalesConnect). As well as transport, Ann’s role covers community development, outreach and fundraising (including submitting bids to funding bodies, a regular village movie night and a photocopying and printing service for local businesses). When we meet, Ann is in the midst of applying to the Big Lottery Reaching Communities fund for funding for a coordinator for the hub’s Helping Hands scheme that provides transport to medical appointments via a network of 40 volunteer drivers who use their own cars. The nearest big hospital is a 44 mile round trip from Grassington. Given the distances and costs involved, transport to health facilities is a big issue in rural areas, particularly for those who do not qualify for free patient transport. Even those who do qualify experience a service that is over-stretched and can involve long journey times and waiting times at either end. Ann and Helen agree that local providers could deliver a better, more responsive service but that they struggle to bid for NHS contracts. Helen tells us that the Social Value Act should mean that bid evaluation takes into account other factors that add value (e.g. that the bidder is a social enterprise) – however, the legislation is still new and seems not to have filtered through to decision making. There is also as yet untapped potential to consolidate hospital appointments to make patient transport more viable in rural areas. It has been a long held ambition of DITA to get local transport and NHS stakeholders together to discuss the issues of access to healthcare and of more sustainable funding options. The Helping Hands service, for example, is reliant entirely on the goodwill of volunteers and donations from those who use the service. It would be in the interests of the NHS to support such schemes which, among other things, help avoid missed appointments. This is something we too have noted in our ‘Total Transport’ report of 2011. Next on our itinerary is a visit to the Pride of the Dales bus garage, base for a small fleet of vehicles providing bus services between Buckden in the North, and Skipton and Ilkley in the South. The services are provided on behalf of North Yorkshire County Council. Here we meet Richard Dean, who – following the multi-functional theme – is both mechanic and occasional bus driver for Pride of the Dales. 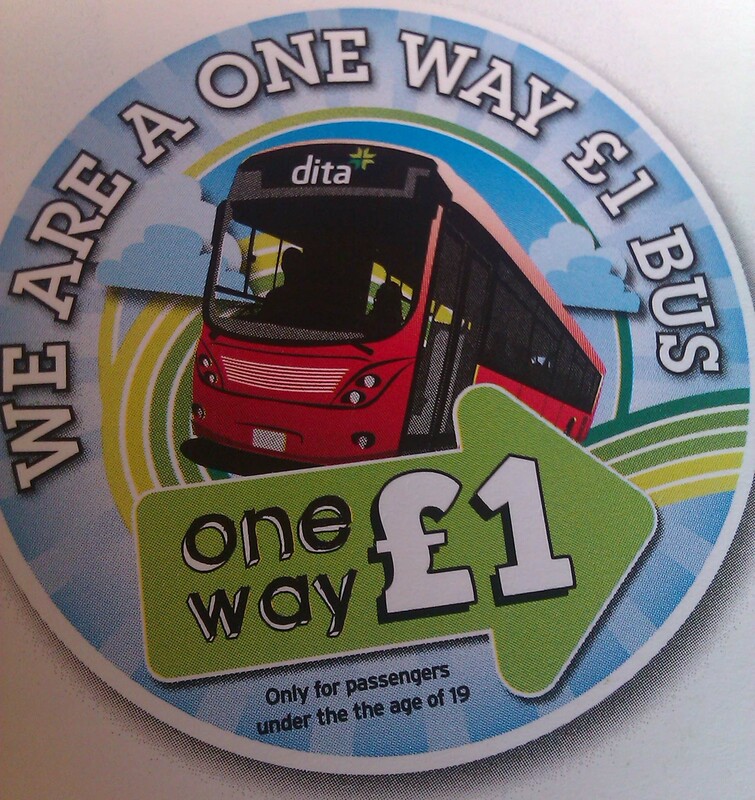 Richard fills us in on another strand of DITA’s work – the trial of a ‘One Way £1’ scheme for under 19s. As the name suggests, this scheme allows young people to travel for £1 on their outward journey and £1 on their return journey when travelling within the Dales area. This represents a considerable saving on the usual fares and is designed to make bus travel easier and more affordable for young people. During term-time, the scheme applies on weekday evenings after 5pm and at any time over the weekends. In the school holidays, the scheme is available at all times. The scheme fits the simple, flat and consistent model for child fares that we know works (see, for example our ‘Moving On’ report) and is very popular with young people themselves – indeed, the local Youth Council were actively involved in developing this initiative. Since launching in October 2012, patronage among young people has grown – one operator is already intending to take forward the scheme commercially after the DITA funding runs out in October this year. Next up, a further chance to discuss the work of DITA with Randall, Ann and Helen over a wholesome lunch at The Retreat, a vegetarian café in the village. Conversation turns to the importance of evaluation and DITA’s plans to collect evidence of effectiveness for each strand of the project – evidence that will be vital in securing future funding for the scheme whether as a whole or for individual elements. We noted that the best practice guidance on LSTF monitoring and evaluation, produced for pteg by AECOM, might prove a useful resource as this work progresses. After lunch, there was time to stock up on souvenir fudge before heading to the National Park Centre just outside the village which also serves as a small bus station. From here it was back on-board a Pride of the Dales bus to Skipton followed by a comfortable ride on the electrified Airedale line back to Leeds. All in all a fascinating visit to an organisation that is very much led by the communities it serves and as such, delivers initiatives that meet the needs of residents and visitors alike. We would like to thank Randall Ghent for organising the visit and Ann Wild, Helen Flynn and Richard Dean for spending time with us on the day.